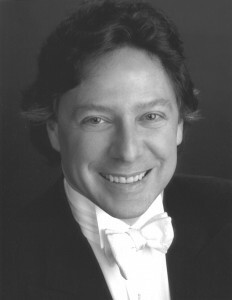 Joseph Pollard White grew up in New York and did his undergraduate work at the Eastman School of Music. His studies included viola with Heidi Castleman, violin with Isador Saslav, composition with Wayne Barlow, choral conducting with Robert DeCormier and orchestral conducting with David Effron and Taavo Virkhaus. He earned his Master of Music in Viola Performance at the Indiana University School of Music where he studied with Georges Janzer. After advanced training in conducting at the Pierre Monteux-Domain Seminar in Hancock, Maine as a student of Charles Bruck, he completed the Doctor of Musical Arts in Orchestral Conducting at the University of Washington where he was a student of Robert Feist. In addition to the concert stage and orchestra pit, he has worked extensively in the recording field, especially music for films, including School for Scoundrels, One Hour Photo, Bring it On, Air Bud, La Dona Barbara and the Academy Awardnominated documentary Legacy. Dr. White is also active as a composer. Recent projects include a Concerto for Oboe d’amore and Orchestra, several pieces for string orchestra and music for the play Actus Fidei by Steven Breese, written for the Jamestown 400th anniversary celebrations. A highly-respected educator, he has taught at Northern Kentucky University, Slippery Rock University of Pennsylvania, Pacific Lutheran University in Tacoma, Washington and Christopher Newport University in Newport News, Virginia. He is a noted clinician, adjudicator and guest conductor for high school and honor orchestra programs. Dr. White is Artistic Advisor and Conductor for the Seattle Mandolin Orchestra which performed at the 2010 Classical Mandolin Society of America national conference. Under his direction they have released two CDs and given highly acclaimed performances of Handel’s Messiah.